Lata Mangeshkar had mentors like Sadashivrao Nevrekar, Vinayak Damodar Karnatak and Ghulam Haider. Lata started singing for Marathi films. Her first released song was "Natali Chaitraachi Navalaai" from the Marathi movie 'Pahili Mangalaa-gaur' (1942). Lata Mangeshkar's first Hindi song was "Mata Ek Sapoot Ki Duniya Badal De Tu" for the Marathi film Gajaabhaau (1943). She began to work on her voice and singing style and went to take singing lessons from famous classical artist Ustad Aman Ali Khan. Lata Mangeshkar sang a song for the movie 'Majboor' of 1948. People took liking of the song "Dil Mera Toda, Mujhe Kahin Ka Na Chhora" sung by Lata and it proved to be her big break into the Hindi Film Industry. Ghulam Haider was the one who introduced her to the director. 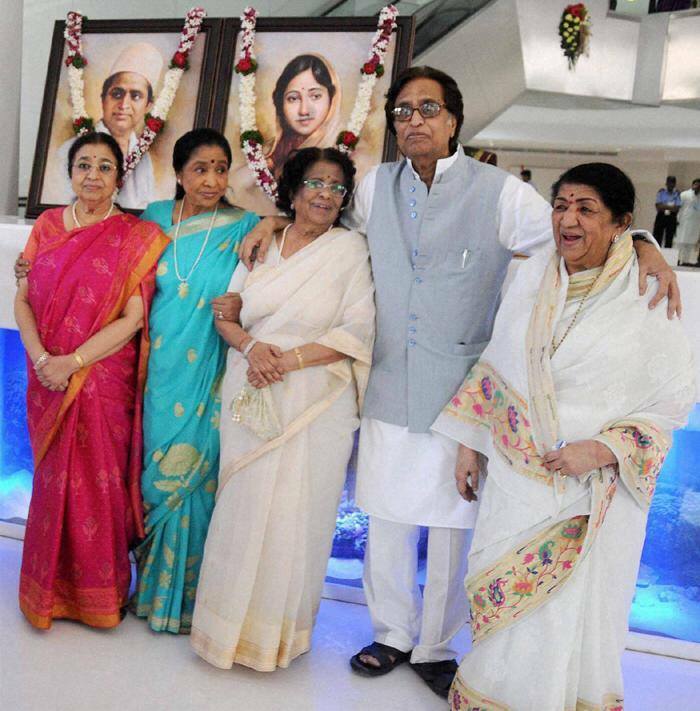 Lata Mangeshkar considered Ghulam Haider as her mentor and Godfather. During the 1950, Lata Mangeshkar worked with a score of popular Music Directors such as Shankar Jaikishan, Naushad, Kalyanji-Anandji, Hansraj Behl, Madan Mohan, C. Ramchandra and even with master music director Khayyam. Some of the movies she did playback singing for were Baiju Bawra (1952), Mother India (1957), and Shree 420 (1955). Her first song with music director Naushad was 'Ae Chorre Ki Jaat Badi Bewafa'. She later sang for another movie which Naushad composed music for, named 'Mughal-e-Azam'. Her Song 'Pyar Kiya To Darna Kya' was among the most celebrated song of the year. When some Actors and Music Directors pointed out that Lata Mangeshkar Hindi/Urdu accent was not up to the mark, she went to take Urdu lessons from a Teacher named Shafi. The 1949 released movie 'Mahal' had a song 'Aayega Aanewaala'. Lata Mangeshkar did the playback for the song which was picturized on famous actress Madhubala. 'Aayega Aanewaala' was Lata's first major hit. Music Director Shankar Jaikishan asked her to sing the song "Ajeeb Dastaan Hai Yeh" from the movie Dil Apna Aur Preet Parai (1960), it again was a sensational hit. These few songs and her work with the music directors paved her way deep into the music industry of India and ascertained her position as a lead singer. At the time of India-China war, Lata Mangeshkar sang 'Aye Mere Watan Ke Logo', which is touted as one of the best patriotic songs. When she performed the song in front of then Prime Minister Jawahar Lal Nehru, he broke up in tears. Another song of hers "Aaj Phir Jeene Ki Tamanna Hai" with Kishor Kumar was a big hit. Piya Tose" from Guide (1965), and "Hothon Pe Aisi Baat" from Jewel Thief (1967) again were smash hits. 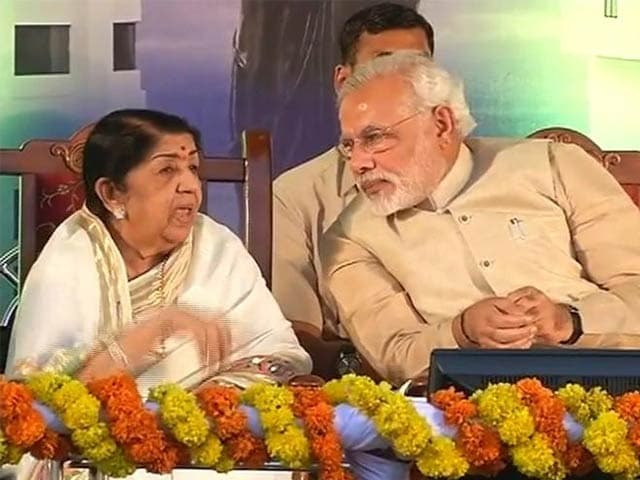 Lata Mangeshkar's Duets With Singers like Kishor Kumar, Mohammed Rafi, Manna Dey and Mukesh are Remembered as Classical. 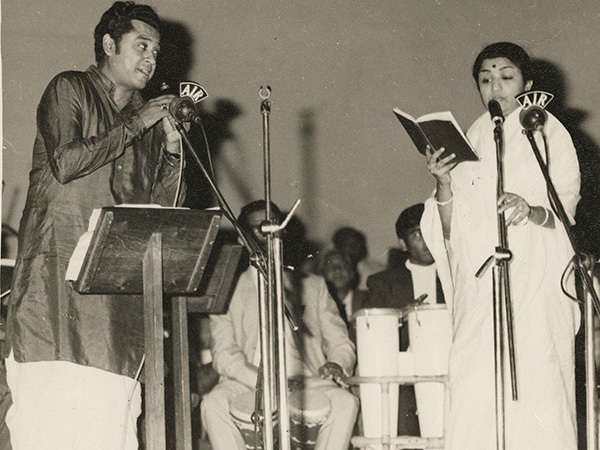 Her Singing-Pair with Mohammed Rafi was the most Notable one. In 1972, Meena Kumari Starred in 'Pakeezah, two songs "Chalte Chalte" and "Inhi Logon Ne" Became Popular in no time. Her Most Outstanding songs in the 1970s were Composed by the Musical duo Laxmikant-Pyarelal. 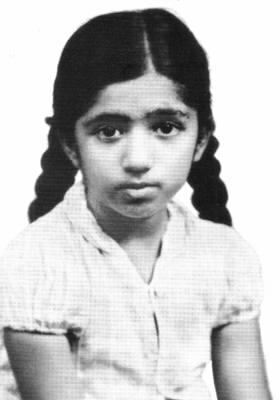 Lata Mangeshkar Won the National Film Award Under Best Female Playback Singer Category for the Song "Beeti Na Bitai" from the Movie 'Parichay', in 1973. She Again won a National Award for the Song Roothe Roothe Piya, from the Movie Kora Kagaz. During the 1980 she Sang in the Following Successful Movies Pyar Jhukta Nahi, Ram teri ganga maili, Silsila, Karz, Ek duuje ke liye, Prem Rog, Hero, Nagina, Chandni and Ram Lakhan. In the 1990, She Worked With Music-Directors of the New era, such as Jatin Lalit, Anand-Milind, Dilip Sen-Sameer Sen, Uttam Singh, Anu Malik, Nadeem-Shravan, Aadesh Shrivastava and A. R. Rahman. 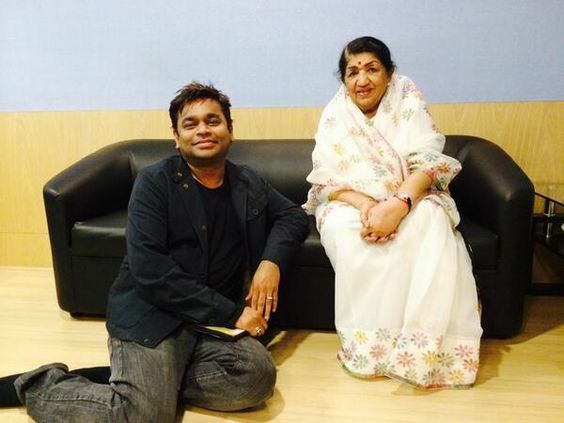 Apart from movie songs, Lata Mangeshkar has sung Ghazals with the likes of Jagjit Singh and Roop Kumar Rathore, S. P. Balasubrahmanyam, Hariharan, Mohammed Aziz, Udit Narayan, Sonu Nigam etc. Lata Mangeshkar started her own production house whose first film was Gulzar directed 'Lekin'. In 1999, Lata Mangeshkar was nominated for Rajya Sabha and she was given Bharat Ratna in 2001. Lata Mangeshkar composed music for 5 Marathi movies, Ram Ram Pavhana being the first film. She won the Best Music Director Award for the Marathi movie, by Government of Maharashtra. ➯ "It was not really the external influences that made me a singer. Music was within me. I was full of it"
➯ "People should be blessed in life with friends who are both "Mirrors & Shadows"! Mirrors don't lie & shadows never leave"
➯ "When I speak, my Urdu isn't very good but when I sing I make sure there are no flaws in my diction"
➯ "I first listen to someone who speaks the language and who reads the lyrics to me. I pay great attention to pronunciation. Once I hear the words spoken, I write the song lines phonetically in Hindi and then sing. By the grace of god, my songs in other languages-including Bengali-have been appreciated. People say they are good and the words have been correctly pronounced".